Clean figure skate laces dress up your skates for competition. 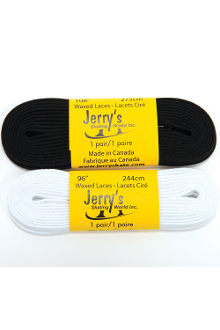 Make sure you've always got spare laces in your bag - laces always break at the worst time! Made from cotton blend and waxed so they hold tight after being tied. Want a little Bling? Add crystals for just $1.25 more!